We very much hope you will enjoy this book. It has been a complete joy to research and put together. Whilst it contains what we hope are many and varied ideas for things to do on the walk itself, we have also been aware of the need to produce a book that is useful and entertaining both before the walk starts and, when you return home, as a reminder of the glorious trip. Many walkers may want to tackle the trail taking one section after the other without any detours. However, we discovered so many wonderful sites and paths near, but not actually, on the path that we have included our pick of these. They run through the text in special ‘boxes’ entitled ‘JUST OFF THE PATH’. 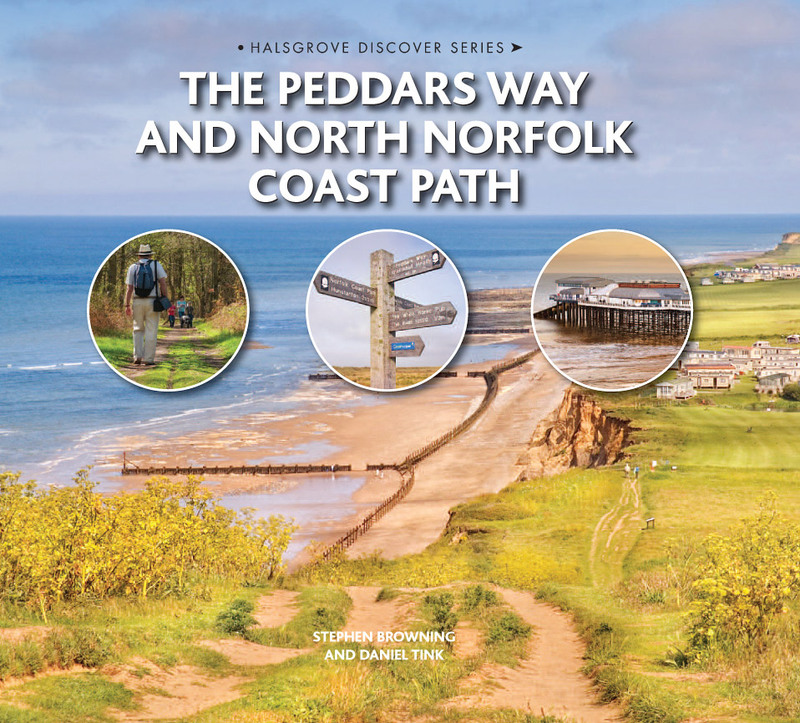 We are told that a super-fit walker can finish both sections of the trail – The Peddars Way and the North Norfolk Coast Path – in little over three days. Well, I am afraid it took us considerably longer and we thoroughly enjoyed every moment! It is one of the trail’s most fantastic features that it is suited to pretty much all ages and abilities, being mostly flat, at least in the 46 miles up to the coast, and you can go at whatever pace you like. We have tried, along with information on pathways, flora and fauna and so on, to give interesting historical and literary references that will hopefully add to the enjoyment of the walk. We have not, though, included up-to-date and specific information on hotels, hostels, bus times, prices of goods etc as these are constantly changing and by far the best ways to become updated about these are either via websites – just start by typing ‘Peddars Way and the Norfolk Coast Path’ into your search engine – or by contacting the many and quite excellent tourist information centres that abound in Norfolk. Thank you. May we wish you a very entertaining read and a memorable walk!